Future Consulting Group is a consultancy organisation specializing in the area of Canadian Immigration. 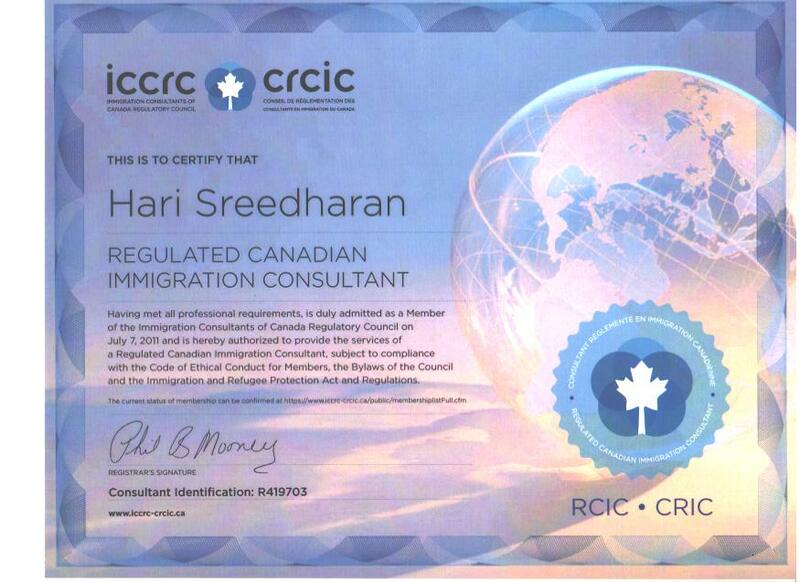 We are registered with the IMMIGRATION CONSULTANTS OF CANADA REGULATORY COUNCIL (ICCRC), which, according to Canadian law, is a prerequisite for accepting applications from clients for immigration to Canada. We have been in the business from year 2000. We do a free assessment of your eligibility to immigrate to Canada and take up assignment from only qualified candidates. If you do not qualify for immigration we do not take up your case for immigration. Future Group is a trademark registered in Canada and has other operation like software development, housing finance (mortgages), recruitment, investment etc., operated through sister concerns. We operate through a network of Consultants in Selected Countries.